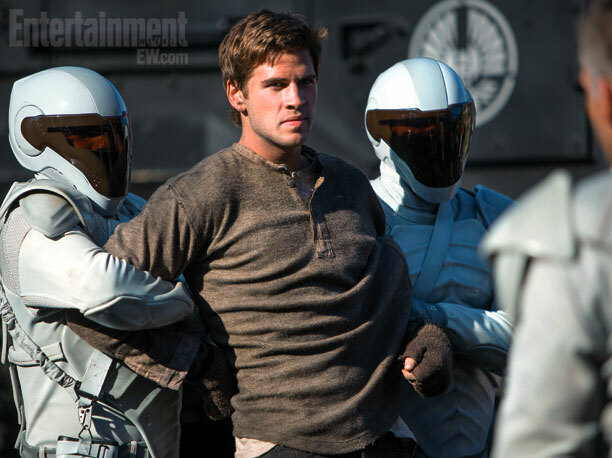 The Hunger Games: Catching Fire is well into production and today, EW has given us the first images from the film, providing a look at stars Jennifer Lawrence, Liam Hemsworth, Josh Hutcherson and newcomer Sam Clafin, who is set to play Finnick. With Francis Lawrence now behind the camera, taking over for Gary Ross, fans are waiting with baited breath to see how the sequel wil turn out. Judging by the images, the overall look and feel of the first film seems to still be there and the character of Finnick looks like he is being brought to life in suitable fashion, appearing exactly how I would imagine him to. Picking up after the events in the first film, The Hunger Games: Catching Fire will follow Katniss as she struggles to cope with her normal life, only to return to the arena for the 75th Hunger Games. Personally, it’s my favorite book in the series and the one that I am most looking forward to seeing on the big screen. I wish Ross had stayed on board to direct but I did really enjoy Lawrence’s I Am Legend and I hope that he will be able to faithfully adapt Suzanne Collins’ much celebrated novel. 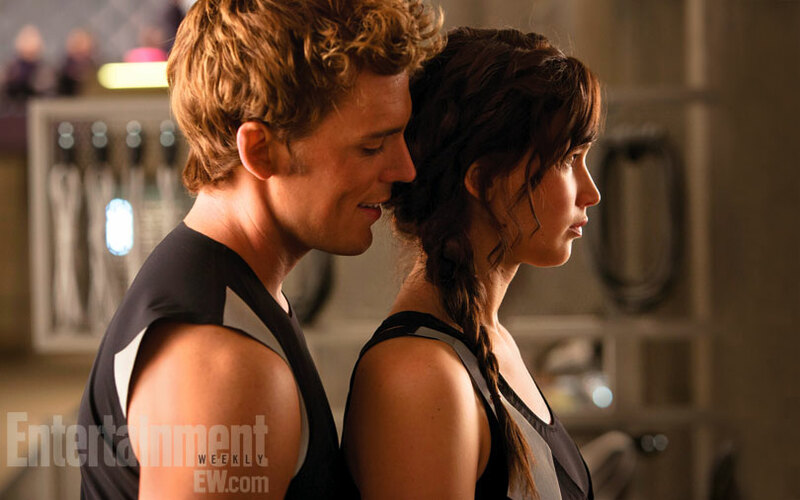 As for the photos, they aren’t all too revealing but still, it’s nice to get a look at Clafin as Finnick as well as just getting a look at the film in general. We haven’t seen anything from it yet and as we await the trailer’s release, these photos should be enough to tide us over. 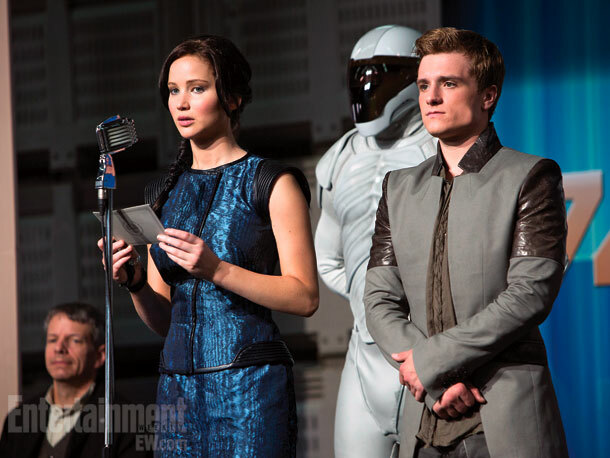 It’s too bad though that we didn’t get a look at Phillip Seymour Hoffman, who is set to play Plutarch Heavensbee. I’m mighty interested to see how he looks in the role but as I said above, these photos are good enough for now. 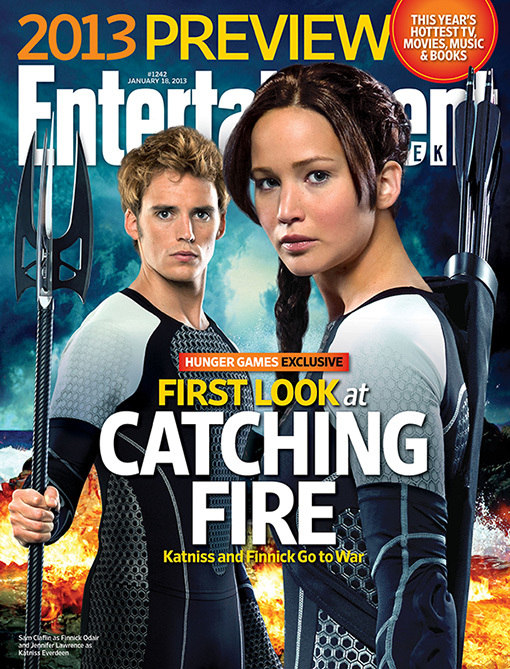 Check out the first images from The Hunger Games: Catching Fire below and let us know what you think.